Laurence’s dream property is in a pretty north Cotswold village. It’s a Grade II listed Queen Anne house with plenty of space, but at the same time retains a cosy feel. Green Lane is simply one of the best farms in Dorset. 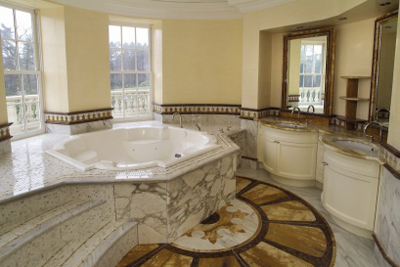 With seven bedrooms, lots of land and an indoor pool Julian can have his perfect house party here. Barton Lodge has everything Isabella needs. Less than four miles from Windsor, Barton Lodge is a stunning equestrian property with lots of land, gardens, a swimming pool and a gym. ‘My ideal part of the country would be Godalming, Surrey, around the area where Abramovitch lives (where houses are bloody expensive and miles away from the ‘hoi polloi’).  The style would be Something grand on a large scale. ‘I’d like my garden to have a well so that I could draw 220cubic metres of water every day without those pernicious robbers that call themselves water companies seeing a penny of my money. ‘I’m astonished that the government is happy to recycle my money in 50% grants for solar panel roofs – they should insist that all new builds have solar panel roofs anyway. ‘I like the idea of thermal heating – where those bloody bandits that parade as energy companies can’t get their hands on more of my money. 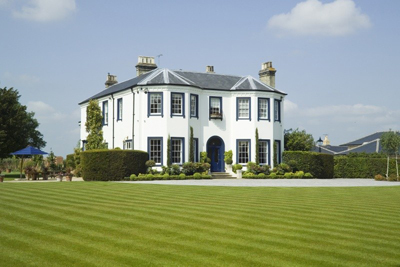 COUNTRYLIFE.co.uk’s dream property for Kelvin is Hurtmore House, on the market with Strutt and Parker for £3.75m. Hurtmore House near Godalming is a very attractive country property believed to have been built in the late 19th century. 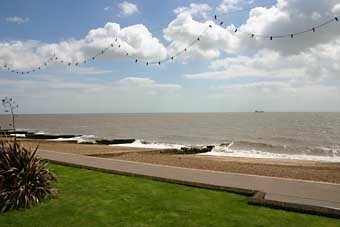 It is clad with some impressive climbing plants, and set within 12 acres of land. We’d also recommend Kelvin, who doesn’t like swimming pools and ‘seeing £50 notes steaming up into the atmosphere killing a few migrating birds along the way’, to fill in the pool and sink a well in its place. 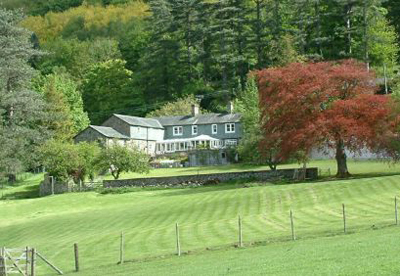 COUNTRYLIFE.co.uk’s dream property for Cath is Berthddu Hall, on the market with Savills for £1m. The Hall is a handsome country residence. 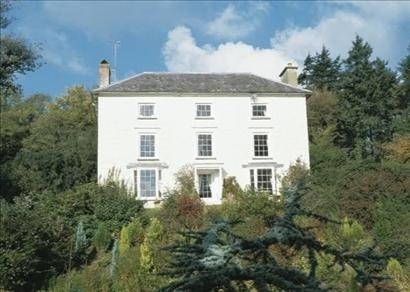 Dating back to 1730, it is just three miles from the pretty village of Llandinam in Powys. COUNTRYLIFE.co.uk’s dream property for Chris is Dinyan in Falmouth, Cornwall on the market for £1.5m with Savills. 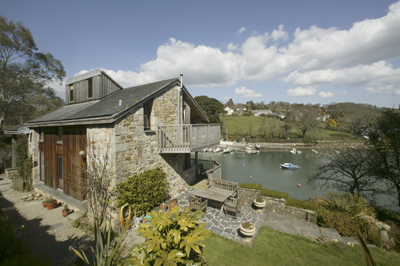 Dinyan, Falmouth, Cornwall is metres from the sea. Perhaps the highlight of its gardens and grounds is the 400ft of frontage to the creek; the rest of the gardens are terraced and include formal lawns, a wooded primrose meadow and a grassed field to the rear which gives him lots room to experiment. 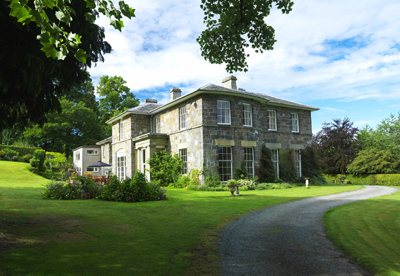 COUNTRYLIFE.co.uk’s dream property for Bear is Tregaron House, which Knight Frank are offering for £1.45m. This property has lots of space, with seaside and mountains a short drive/walk away, and the airport is only 12 miles away: lots of room for walking the dog! 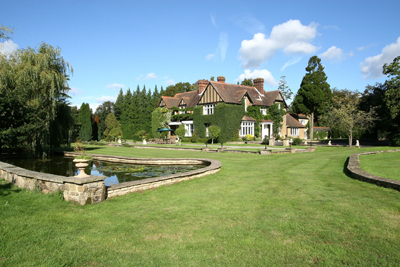 COUNTRYLIFE.co.uk’s dream property for Clare is Ashe Court, Hampshire on at £2.5m with Knight Frank. This is a perfect house for Clare with fantastic views, big rooms, a swimming pool and it’s in the ideal location between Newbury and Basingstoke. COUNTRYLIFE.co.uk’s dream property for Neil and Christine is Netley Hall Dorrington, in Shropshire, being sold for £4m by Savills. Netley Hall near Dorrington is ideal for the Christine and Neil. It has lots of space for them to spin around in their wheelchairs, plus a grand staircase, and plenty of room for the books! COUNTRYLIFE.co.uk’s dream property for Andy is Peinmore House, on Skye which is on the market with Knight Frank for £600,000. 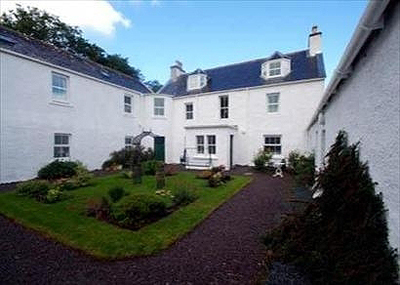 Peinmore house is a former manse in one of the prettiest and desirable areas on Skye, with views over Portree Bay and Portree itself. 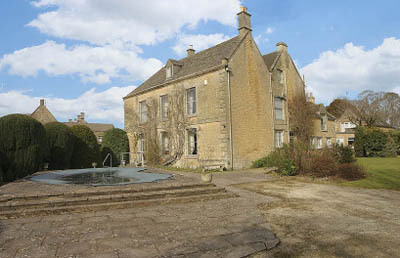 COUNTRYLIFE.co.uk’s dream property for Steve is Elishaw Farmhouse which is offered through Strutt and Parker for £775,000. 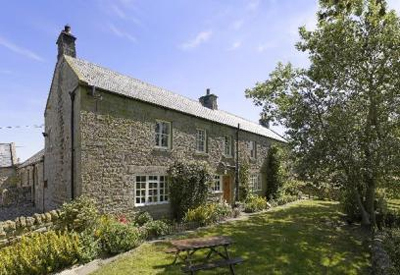 This lovely farmhouse is on the fringe of the Northumberland National Park, providing more than enough space for Steve to run and cycle through and it’s just 26 miles to the airport! 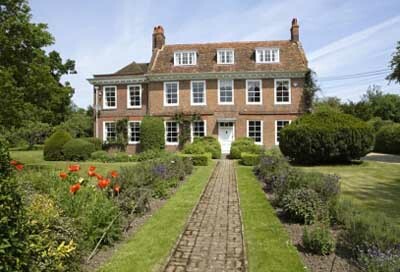 COUNTRYLIFE.co.uk’s dream property for Yasmin is The Old House in West Sussex which is for sale through Savills £2.7m. Lodsworth is a classic example of the Georgian style over three stories with lovely detailing, which can be dated back to 1728. 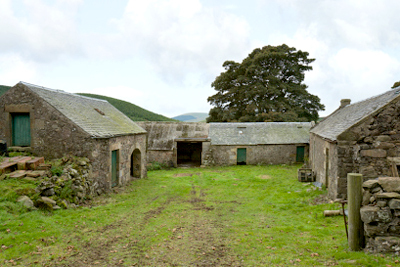 COUNTRYLIFE.co.uk’s dream property for Rita is Earnieside, Clackmannanshire with a guide price of £875,000 from Savills. This is a beautiful Georgian house, which sits surrounded by the beautiful Ochil Hills in central Scotland: more accessible than the Highlands but feels just as remote. 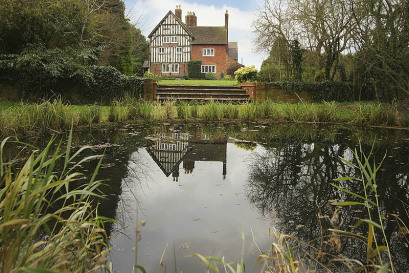 COUNTRYLIFE.co.uk’s dream property for Melissa is The Hough Hall Estate, on with Jackson Stops and Staff for £12,500,000. This classic estate leaves plenty of room for Melissa to build her dream home to her exact standards, and an excellent country house to stay in while she does so. 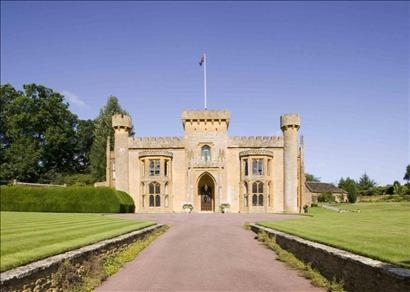 COUNTRYLIFE.co.uk’s dream property for Roger is a beautiful castle near Yeovil offered for £22m by Knight Frank. Described as one of the most romantic estates in England, this unique Grade II Listed castle sits in a spectacular setting with stunning gardens and grounds with a lake… fingers crossed for the secret rooms. 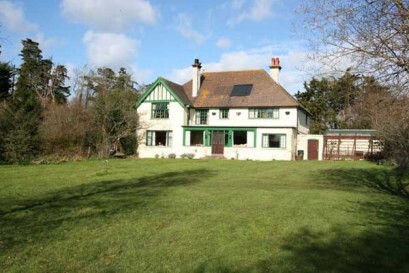 COUNTRYLIFE.co.uk’s dream property for Jane is right on the beach in Felixtowe, sold through Jackson Stops and Staff for £485,000. This property fits Jane’s bill perfectly, the views are magnificent and this house is anything but twee! 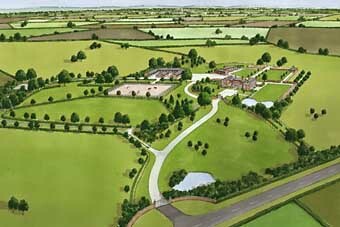 COUNTRYLIFE.co.uk’s dream property for Andy is Finswood farm, Warwick, Warwickshire, on the market with Savills for £850,000. 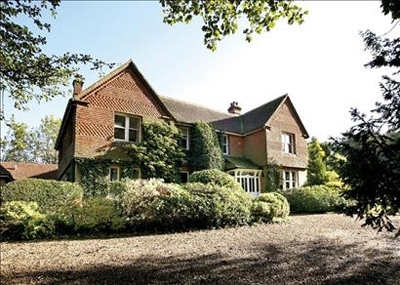 This is an outstanding farmhouse in 1.5 acres of gardens for Andy’s nursery, and with the train station only a couple of miles away it’s no chore to get to and from civilisation living here. 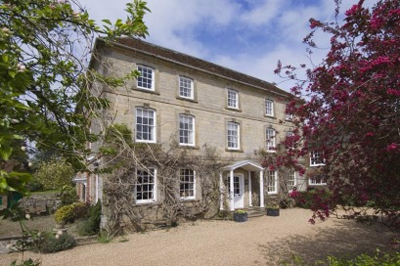 COUNTRYLIFE.co.uk’s dream property for Kelly is Brawns, nr Henley, on the market with Savills for £2.500,000. With 6 bedrooms and 8 acres, as well as equestrian facilities only 2 miles from Henley this is a lovely property perfect for relaxing in at weekends. COUNTRYLIFE.co.uk’s dream property for Lysette is a wonderful house, on the market with Jackson Stops and Staff for £895,000. This property is a 1920s house with in an area of outstanding natural beauty to the western side of the Island, with its own well established trees and orchards to add to the feel of going back in time. 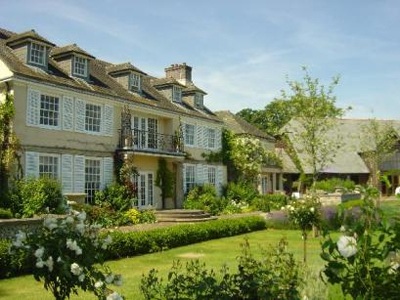 COUNTRYLIFE.co.uk’s dream property for Kim is country guest house is on for £925,000 with Savills. This property has incredible views over the fells, with the market town of Keswick only four miles drive, making it not too remote, although still with plenty of privacy. 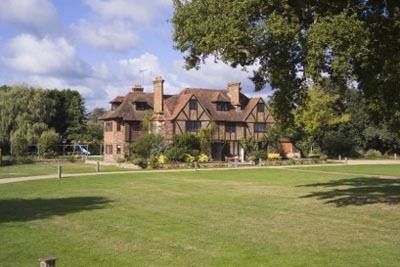 COUNTRYLIFE.co.uk’s dream property for Shaun is Updown Court in surrey, on with Savills for £70,000,000. This property has everything Shaun needs and more: with top notch security, lots of space, complete indoor entertainment on tap, and an all weather sports pitch, he’ll never be bored when relaxing at home. 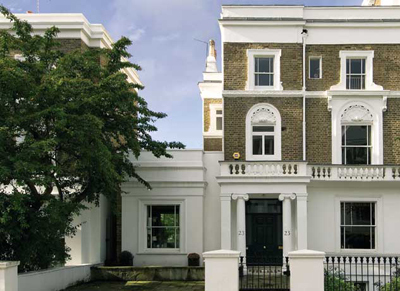 COUNTRYLIFE.co.uk’s dream property for Ashley and Allegra is a large townhouse over four floors in Notting Hill. Set on Landsdowne Road this house is over four floors, with over 5,000sq ft of space with interiors which could do with a spruce up and access to communal gardens. COUNTRYLIFE.co.uk’s dream property for Nigel is Dawes Green House near Reigate, Surrey and is on the market with Savills for £5m. This large red brick private residence is protected by nearly ten aces of land, and has separate cottages, swimming pool and tennis court. 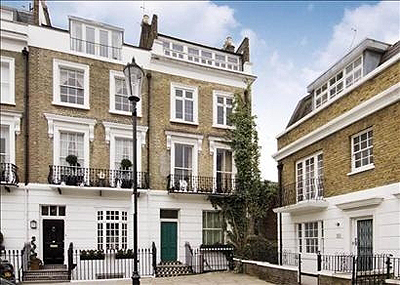 COUNTRYLIFE.co.uk’s dream property for Stephen is currently three separate flats in Chelsea, being offered by Knight Frank for £3.35m. Dream property: Currently three flats, this property just off one of the most desirable garden squares in Chelsea and in need of complete refurbishment, so although Stephen might have trouble finding a house to knock down, or a plot of land to build on in SW3, this is an opportunity for him to make the place completely his own, as long as he leaves the period exterior intact.